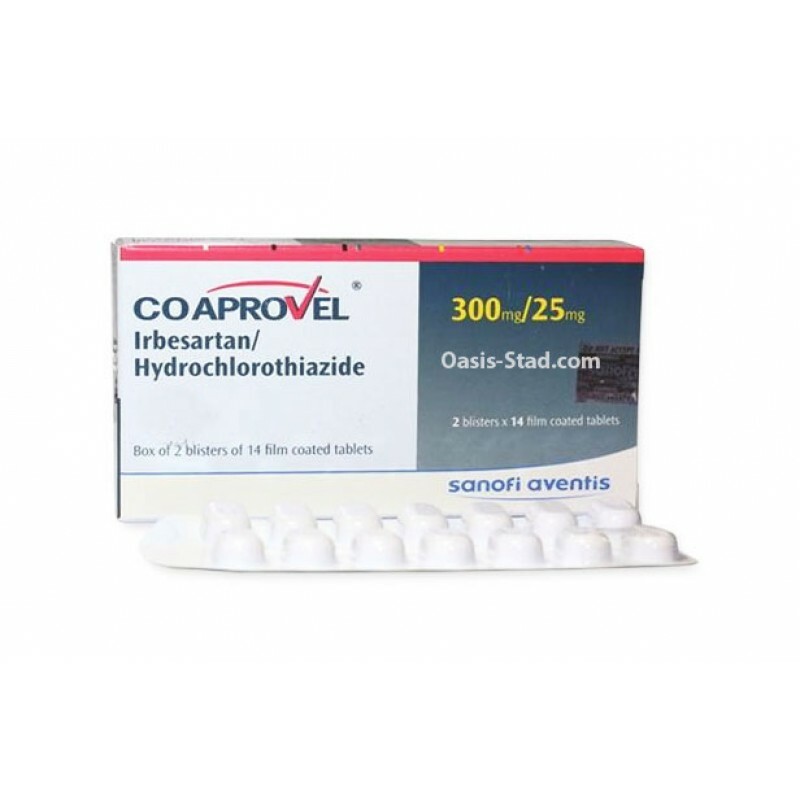 Hydrochlorothiazide is a type of medicine known as a thiazide diuretic. Thiazide diuretics act in the kidneys, where they increase the production of urine. They work by causing the kidneys to increase the amount of salts, such as potassium and sodium, that are filtered out of the blood and into the urine. When these salts are filtered out of the blood by the kidneys, water is also drawn alongside. As hydrochlorothiazide increases the removal of salts from the blood, it also causes more water to be drawn out of the blood and into the urine. Removing water from the blood decreases the volume of fluid circulating through the blood vessels, which decreases the pressure within the blood vessels. Hydrochlorothiazide therefore lowers blood pressure. Irbesartan, which is a type of medicine called an angiotensin II receptor antagonist. (Irbesartan tablets are also available without a brand name, ie as the generic medicine.) Irbesartan lowers blood pressure by preventing the action of a hormone in the body called angiotensin II.